Justice Department Sues California Over Net Neutrality Law The state's new law affirming Obama-era rules that were later repealed by the Trump administration has put it on a legal collision course with the Justice Department. An equal playing field that prevents Internet companies from slowing down or blocking some content was signed into law by California Gov. Jerry Brown, but the Justice Department quickly filed a lawsuit to block its implementation. The state law would guarantee what is known as net neutrality — rules that were established during the Obama administration, but that the Federal Communications Commission under President Trump rescinded last year. The Justice Department says the new California law illegally conflicts with federal rules. Attorney Jeff Sessions said in a statement, "under the Constitution, states do not regulate interstate commerce — the federal government does." He added, "once again the California legislature has enacted an extreme and illegal state law attempting to frustrate federal policy." Last year, the FCC rolled back rules that went into effect in 2015 banning cable and telecom companies from blocking or slowing down websites and applications. The rollback dramatically favored Internet companies. Broadband companies and then-FCC board member Ajit Pai — who was appointed as chairman of the commission in 2017 — opposed net neutrality in 2015 arguing that it prevented the opportunity for investment in broadband companies and stifled innovation. According to The New York Times, California's is one of the strongest net neutrality laws in the nation and could set a new standard for other states to follow. According to the National Conference of State Legislatures, Oregon, Vermont and Washington have enacted their own net neutrality laws and governors in six states have signed executive orders affirming some degree of net neutrality. 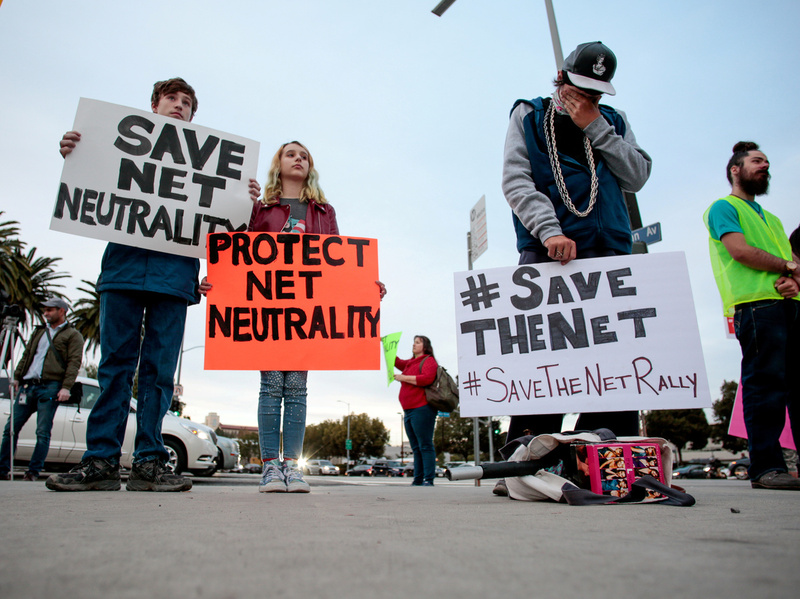 Thirty other states are debating net neutrality measures of their own. California state Sen. Scott Wiener, an author of the state bill, struck back, saying in a statement that the Justice Department lawsuit is just the latest attempt by the administration to block the state's initiatives. "We've been down this road before: when Trump and Sessions sued Calif. and claimed we lacked the power to protect immigrants. California fought Trump and Sessions on their immigration lawsuit — California won — and California will fight this lawsuit as well," Wiener said in a statement. Calif. Gov. 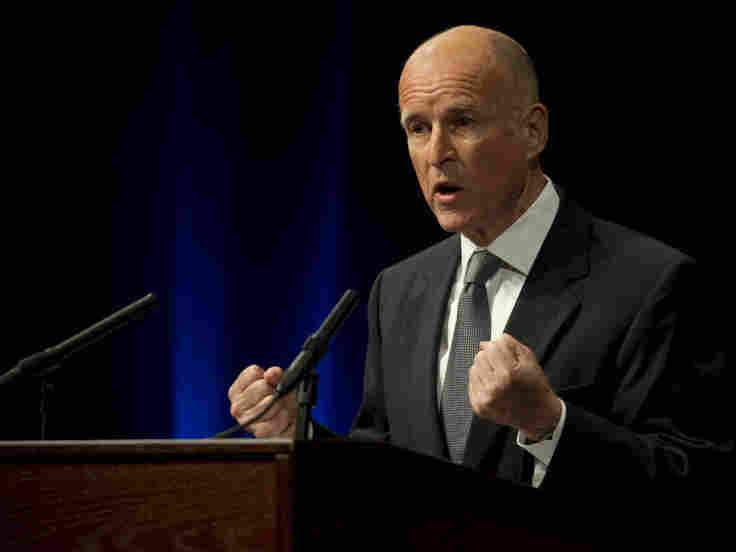 Jerry Brown adopts its own net neutrality law prompting the Justice Department to sue the state in an effort to block what's describe as the "toughest net neutrality law" enacted. Pai issued a statement after California's law passed, saying, "the law prohibits many free-data plans, which allows consumers to stream video, music, and the like exempt from any data limits." The new law bans interconnection fees and has a "zero-rating" rule, which means telecom companies would exempt certain applications or services from counting toward a consumers data cap. "When the FCC chose to ignore the millions of consumers who urged them not to repeal net neutrality protections last year, it left a void that state lawmakers are now rightfully filling," Jonathan Schwantes, senior policy counsel for Consumers Union tells the Times.